Shree Ishwarbhai Patel who was the founder of ESI, compassionately served the underprivileged part of society. 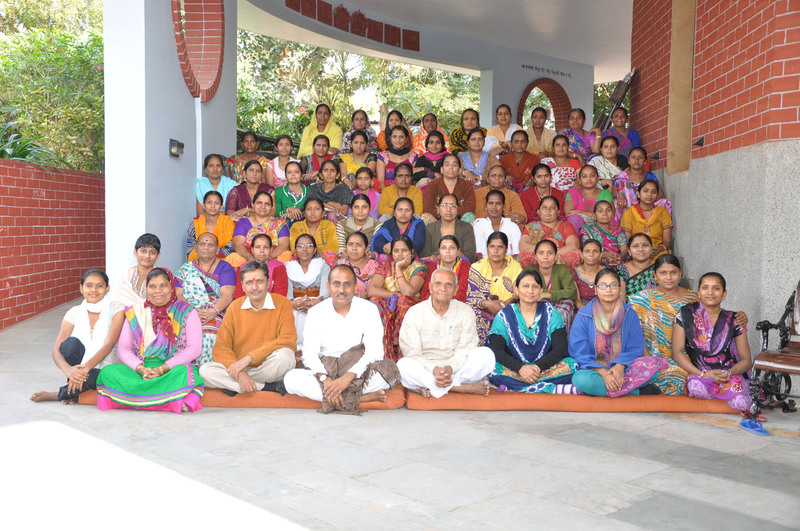 From 1st April-2011 Anganwadi (Pre-School) Training Centre for Ahmedabad district was allotted to our Institute. Under the activities of AWTC, the teachers were to train for many developmental aspects of ICDS department. Through AWTC Hon. Govt. wanted to enhance capacity of their Anganwadi workers in the field of food & nutrition, immunization, supplementary food to adolescent girls & pregnant women etc. Anganwadi workers work for all above groups welfare activities. 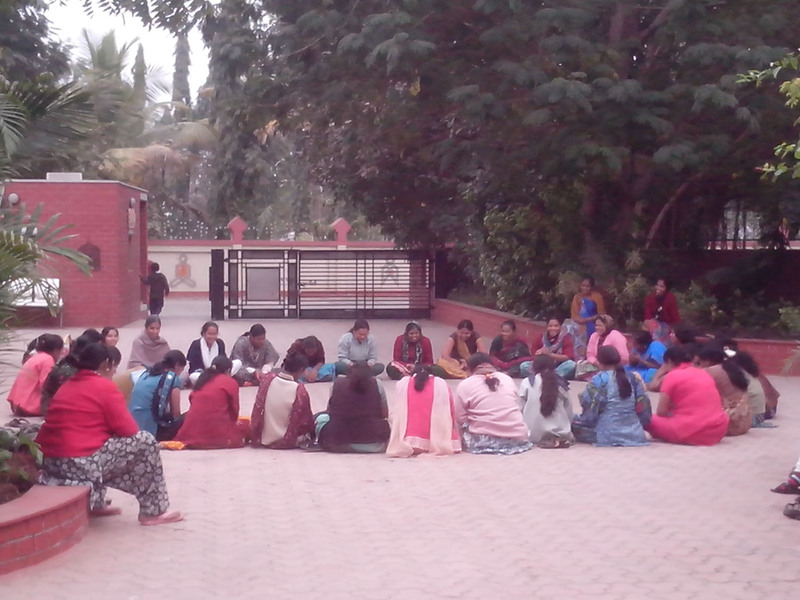 A visit to our Sughad campus is almost certain to include a run-in with a group of Anganwadi (preschool) teachers. They may be sitting in a circle of sharing on the lawn, deep in a classroom seminar, preparing a meal, or sweeping around campus. At any given time, one of four courses are offered to train Anganwadi workers—both teachers and their classroom aides—on various preschool teaching practices and topics, with a focus on teaching proper sanitation and hygiene practices, as well as nutrition, service, and spirituality. This project is supported by the ICDS (Integrated Child Development Scheme) program of the Government of Gujarat. The ICDS comes under the mandate of Government of India. The government of Gujarat has taken an initiative to include any pregnant woman, lactating mother, adolescent girl and mal nutrition children. ESI has trained more than 7200 Anganwadi workers at Safai Vidhayalay & ESI sughad Campus. – ICDS scheme, its objectives & beneficiary. – Role & responsibilities of Anganwadi workers. – Different schemes to different categories. – Child development & Child Psychology. – Teaching learning material & its development. – Jingle & rhymes for kids. – Group discussion & story telling technology. – Food & Nutrition with concept of balance diet. – Personal hygiene care for adolescent girls, pregnant women & feeding mother. – Immunization & growth chart for kids. – Communicable diseases and its eradication programme. – Special scheme for women & kids welfare by ICDS & Health department. – Pre and post natal care. • Orientation for Helper: This 8 days gathering offers preschool teachers in Ahmedabad the opportunity to come together and share teaching materials, values, practices, knowledge and techniques—while participating in workshops on sanitation, teaching, and nutrition. • Helper Refresher: This 5 Days training engages preschool teaching aids in courses and workshops on best teaching practices. 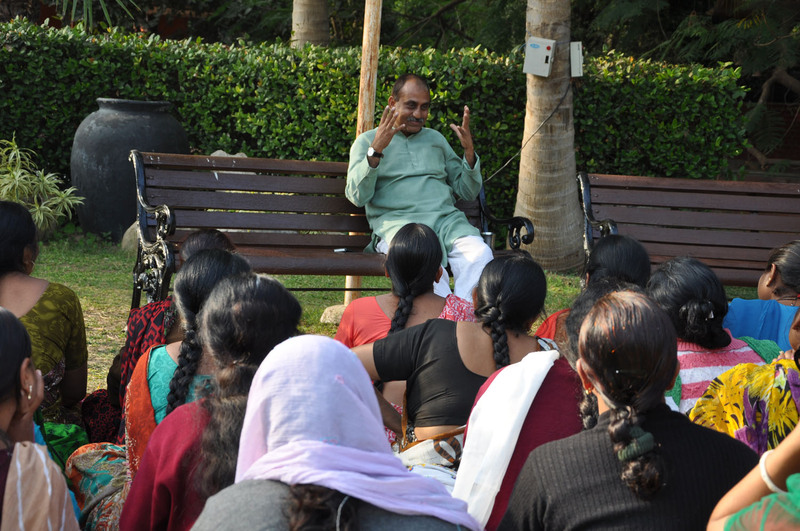 Topics include health, hygiene, sanitation, early childhood care, service, and spirituality.